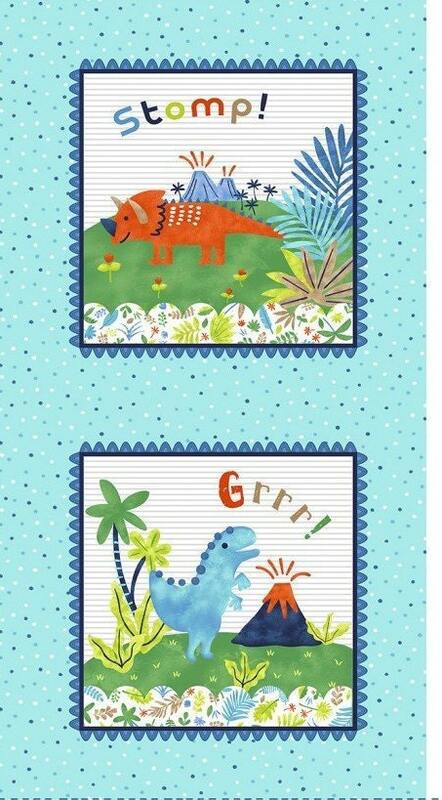 The most adorable children's cotton panel depicting brightly colored Dinosaurs. 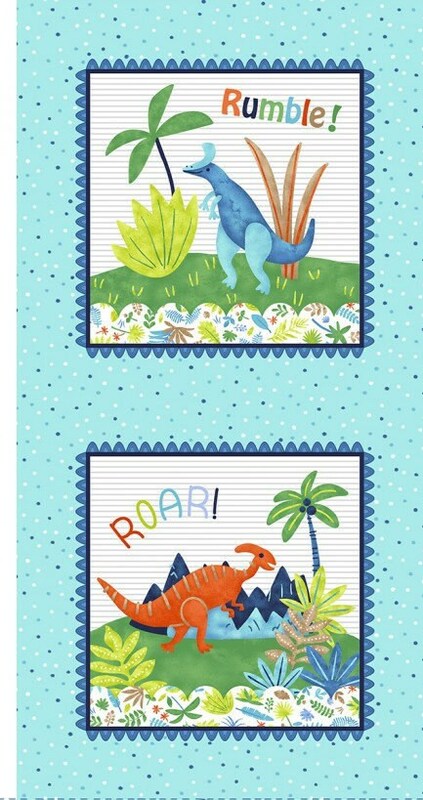 Such beautiful shades of blue, yellow, orange red and blue to bring these little Dinosaurs alive. Smaller blocks measure 8 1/2 x 8 1/2 inches. 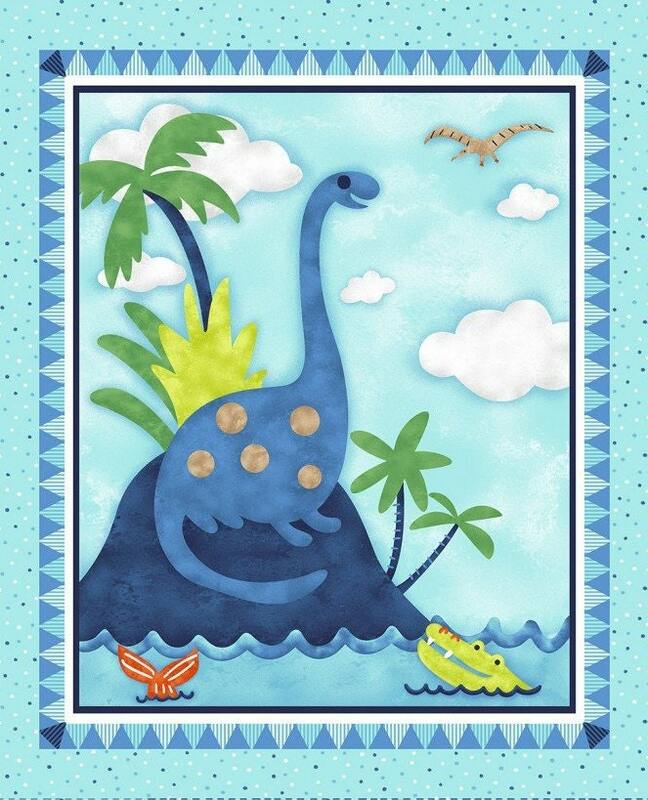 The center block showcasing a bright blue Dinosaur measures approximately 17 inches wide by 20 inches tall. 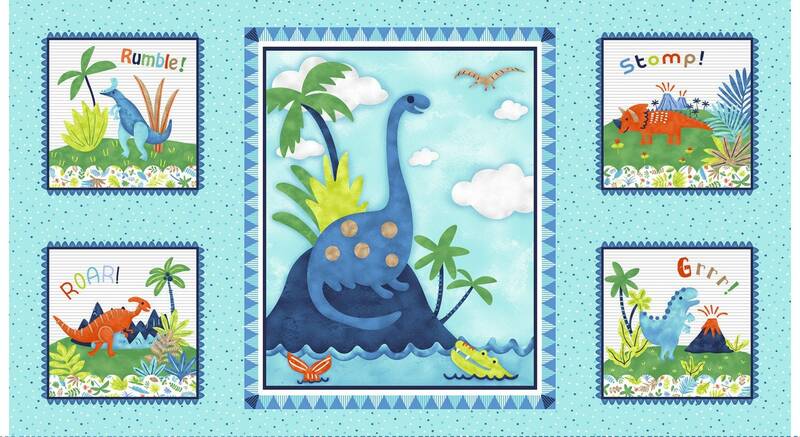 Delight your little Dinosaur lover with this great children's panel. All fabric from The Quilted Nursery is cut directly from the bolt in continuous yardage. We now offer fractional yardage cuts for your shopping and sewing convenience. Same day shipping and all shipping overages are refunded on day of shipment. Free Shipping on all orders of $30.00 or more.